Even if you’re ready for spring, your car probably isn’t. Before winter hits, many people get the oil changed, tires checked and other pre-winter maintenance completed. But winter takes a heavy toll on cars, often causing hidden damage that could be costly or dangerous. Almost all cars in the U.S. are fitted with all-season tires. While these tires are safe and reliable in most climates, they aren’t as flexible as traditional snow tires. All-season tires stiffen in the cold, especially when temperatures drop below 20 degrees Fahrenheit. That can cause cracks and other damage. You can take your car to many national auto service retailers for a free tire inspection. While you’re there, have your tires rotated and the air pressure checked. 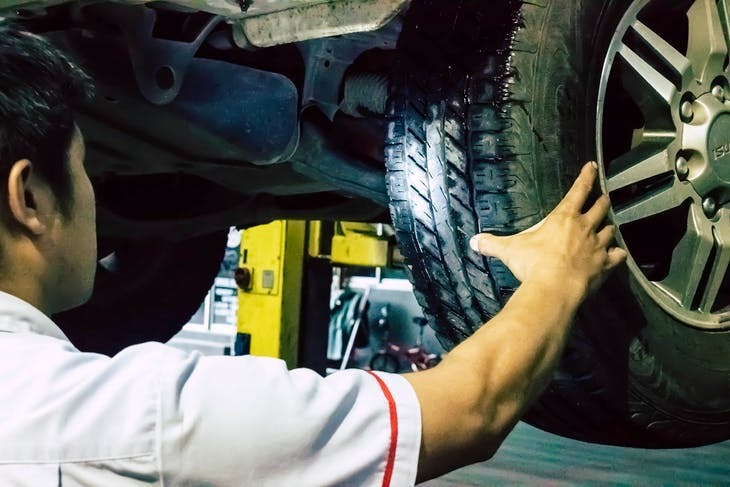 Doing these things will make the tires last longer and ensure they’ll grip on rain-slicked roads. Anyone who has had a windshield wiper peel off during a heavy spring rain knows that winter can be hard on blades. Even if your blades look OK, replace them if they start to leave streaks on your windshield. An auto technician can change them, or you can easily replace them yourself. Just check the owner’s manual for your car to find the correct size.